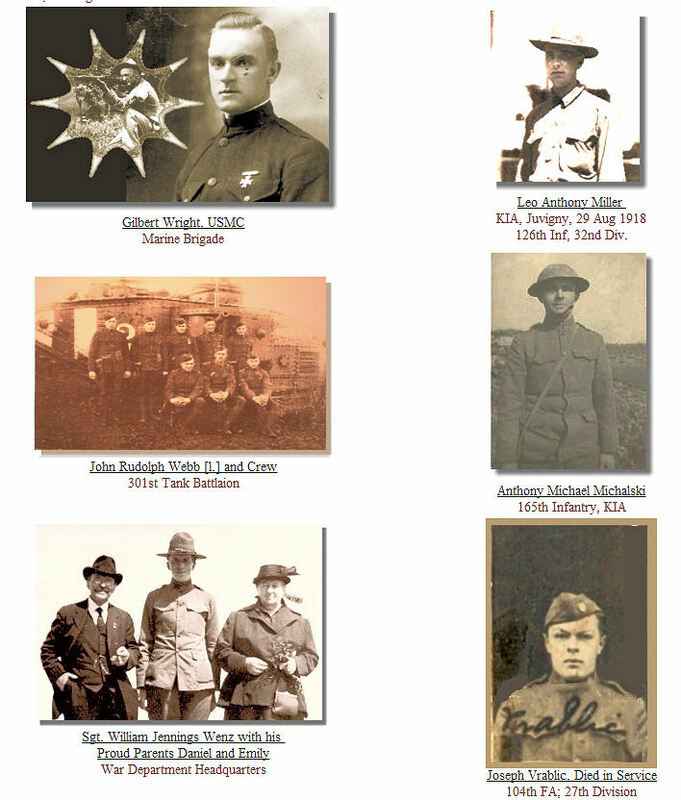 The U.S. World War One Centennial Commission has helped organize a broad program that uses the theme Countdown to Veterans Day to raise awareness about veterans from all our wars. 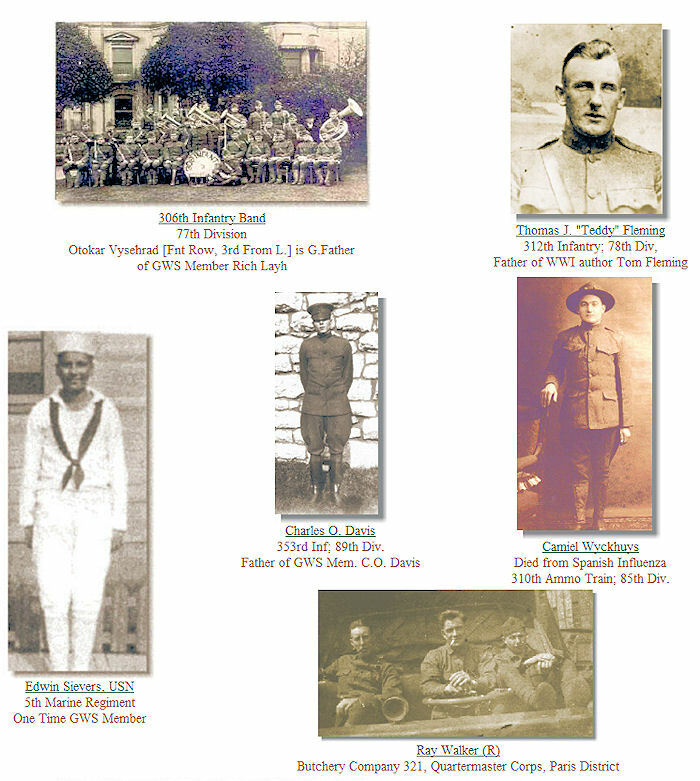 Their strategy is to build and expand a network for distributing historic information about the veteran's service, inclusive, of course, of the First World War. The project's partners, materials, events, and volunteer opportunities are described at their spiffy new website: (LINK). I've promised to support their effort, and in this issue of the Trip-Wire I've started by describing some of the resources at Worldwar1.com (our umbrella website) that are available for the Countdown. This new initiative has brought back a happy recollection for me of another Veterans Day — 11 November 1988. There was a big World War I commemoration that day, organized at the San Francisco Presidio by the dearly departed Great War Society. 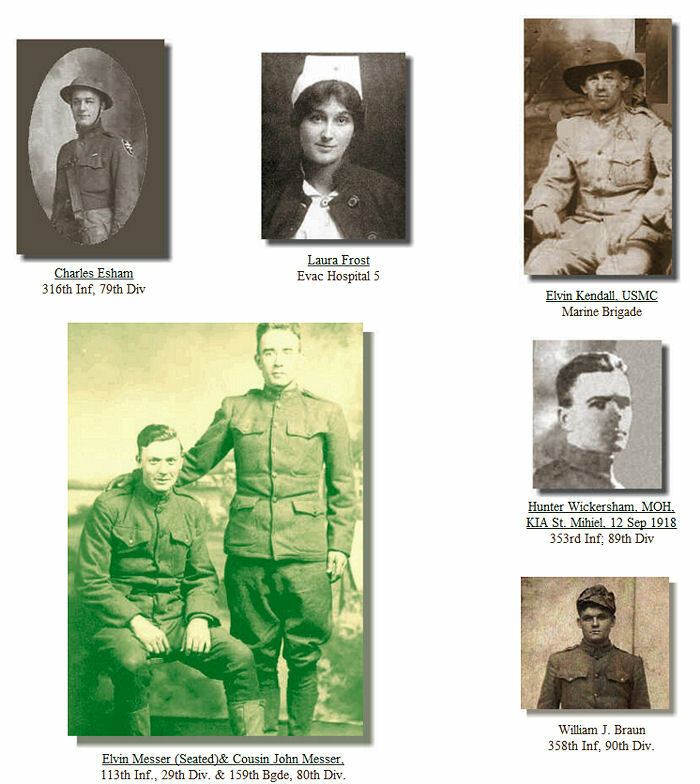 My job was to find some WWI veterans, invite them, and deliver them safely. On my first probe, I struck gold at the California Veterans' Home, in Yountville, north of the Golden Gate. There, I discovered four residents, three guys and a gal, who had served overseas (the men in the European theater, our nurse had somehow made it to Serbia), and they all accepted the invitation to join us for the day. I didn't realize at the time that my adventure had just begun. They were all dressed in their best outfits and were really jolly when I picked them up the morning of 11 November. Ten miles from Yountville, there was an initial sign of trouble — the first request for a toilet stop. It didn't set a pattern for the day, however. I did grow a little concerned again, when I heard a couple of them napping in the back seat before we got to the venue. I was quickly gaining an appreciation of the realities of being responsible for four individuals whose average age was over 90. When we arrived at the Presidio, there was a big crowd, and —surprisingly — lots of press and TV coverage. I was soon elbowed out the way and sent packing to the rear area, so I had to monitor my group from a distance during the main ceremony at the National Cemetery. The veterans were seated in a place of honor near the stage and given individual introductions by the master of ceremonies. As the day proceeded — to my utter astonishment — they evolved into the stars of the event, each, apparently, a born celebrity, giving interviews to the media (they looked great on the TV news that night), posing for photos, even autographing the programs of audience members. At the luncheon they were invited to say a few words. Most passed on the opportunity, but one fellow, the group's sailor, stood up and gave an outstanding impromptu talk about life on his coal-fired battleship, the USS Delaware, and the ship's service with the Grand Fleet. I'll never forget how horrible he made coaling-day sound. The really enjoyable part of his talk involved their return to the States. 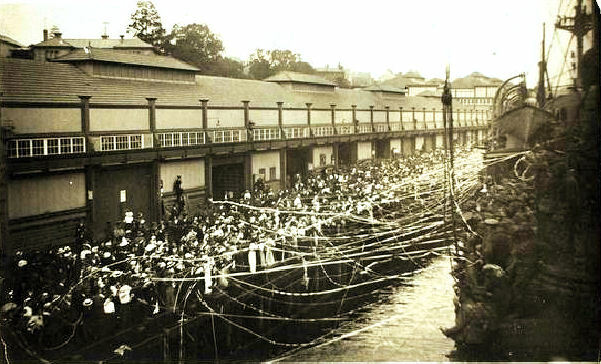 The Delaware rotated home before the Armistice (it had not seen any combat), but the white caps were still treated as returning heroes everywhere they docked. You could tell his homecoming was one of the happiest memories of the old sailor's life. On my recent group tour to the Somme, I was able to explore areas in greater depth than time allowed in the past. On my earlier tours of the area, I always included the battle for Thiepval Ridge, and the Canadian Corps' notable capture of Courcelette and its fortified sugar refinery. However, this time I gained an appreciation of what transpired on Pozières Ridge, between those two sites. 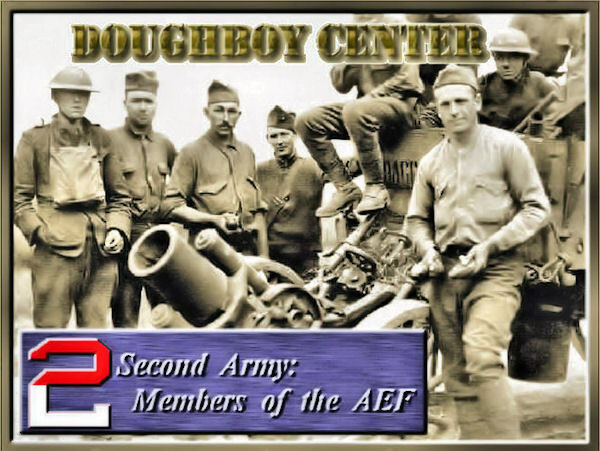 Shortly after the Armistice, Secretary of War Newton Baker requested the AEF Commander to send a number of accounts of Doughboy heroism in the war. It seems funds still had to be raised to pay for the nation's victorious effort. 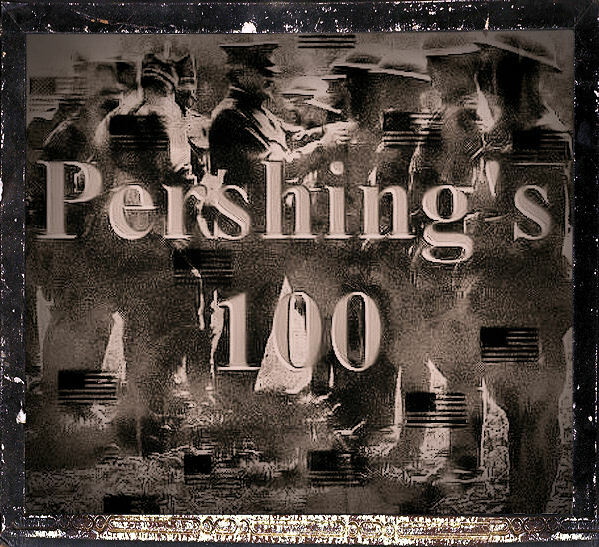 Pershing's staff compiled "A List of One Hundred Individual Acts of Extraordinary Heroism Performed by Officers and Soldiers of the American Expeditionary Forces." 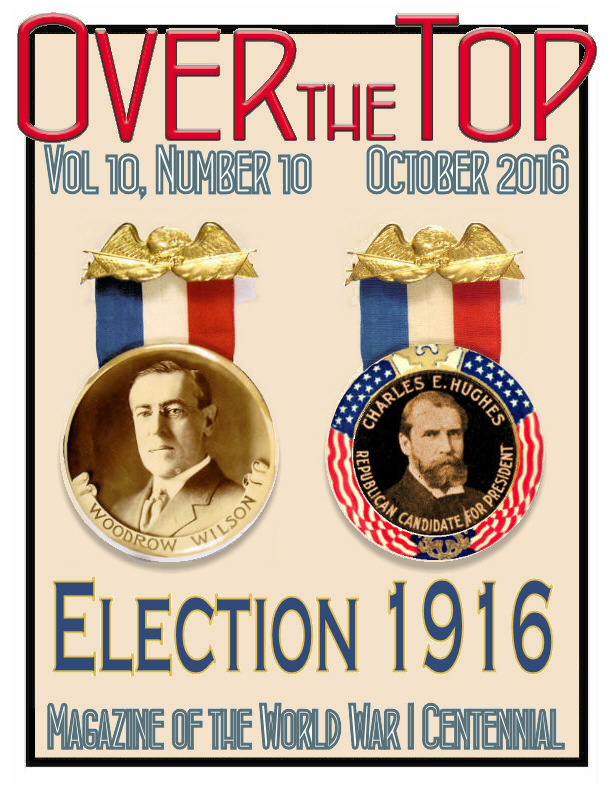 When the document was published in the Ladies Home Journal as a series during the summer of 1919, it was given the title "Pershing's 100." It was at this stage, and after our initial success, that the rainy season set in; and that is another great feature of German East Africa. I had read much about it, and I had heard more; but the reality far surpassed the worst I had read or heard. For weeks the rain came down ceaselessly, pitilessly, sometimes three inches in twenty-four hours, until all the hollows became rivers, all the low-lying valleys became lakes, the bridges disappeared, and all roads dissolved in mud.  All communications came to an end, and even Moses himself in the desert had not such a commissariat situation as faced me. 80 of the Best Manuscripts and Websites We Have Discovered Over the Years. After remaining neutral for two years, Rumania — miscalculating the apparent success of Russia's Brusilov Offensive — chose to enter the war on the side of the Entente on 27 August 1916. 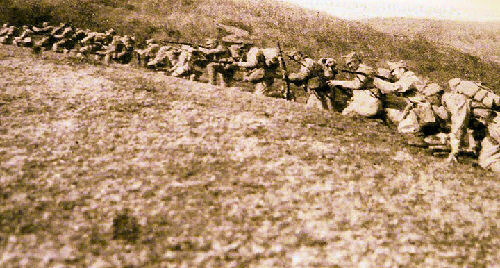 The government's prime motive, like Italy's in 1915, was to obtain more territory. 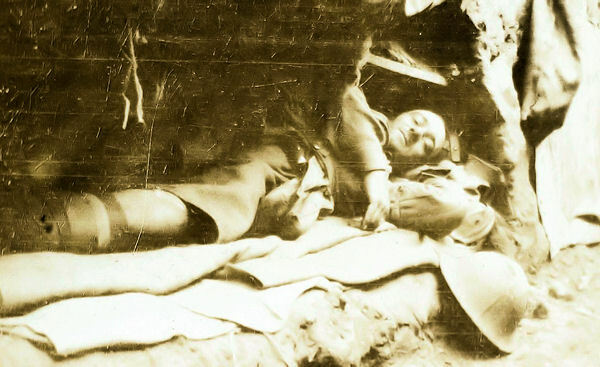 King Ferdinand and Premier Ion Bratianu, however, had grossly overestimated the fighting power of their army and the weakness of the Central Powers. Following an initial advance across the Transylvanian Alps into Hungary, Rumania was invaded from two directions. From Bulgaria in the south, a combined force of Germans, Turks, and Bulgars under the command of Field Marshal August von Mackensen attacked between the Danube and the Black Sea. Rumania moved troops from the advancing forces in Transylvania to oppose the counter-invasion which threatened all of their Black Sea ports as well as Bucharest, the capital. Then in late September, General Falkenhayn, recently demoted as chief of staff, arrived to take command of the German Ninth Army in Transylvania to the north. 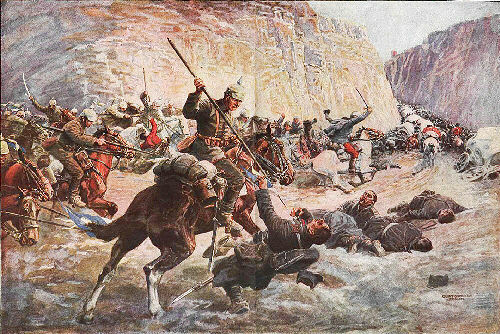 He quickly attacked, capturing Hermanstadt and driving two Rumanian divisions back into the mountains. In quick order the two German commanders and a third Austro-Hungarian force relentlessly crushed the Rumanian opposition. By 5 December Bucharest had fallen, Rumania's oil fields had been set ablaze, and three-fourths of Rumania was occupied. The arrival of Russian forces staved off total disaster. 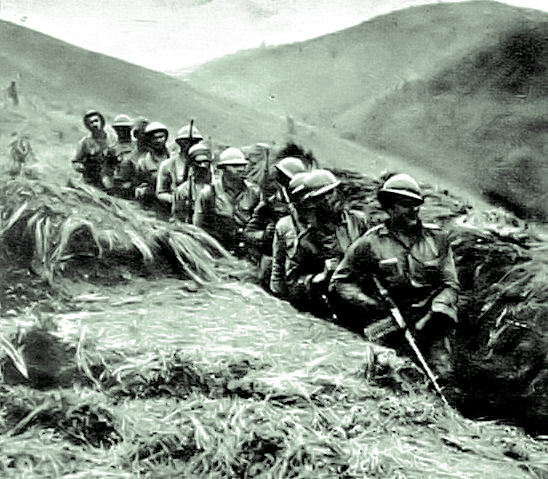 A defensible line was formed on Sereth River in the northeast allowing Rumania to retain a major portion of Moldavia. There was little action in the next year, but in December 1917, the exhausted Rumanian government had to ask the Central Powers for terms. They had lost a war and suffered over 400,000 casualties for their territorial ambitions. Things would change dramatically for Rumania at the Paris Peace Conference, but that is a story we will address in a later issue of the Trip-Wire. 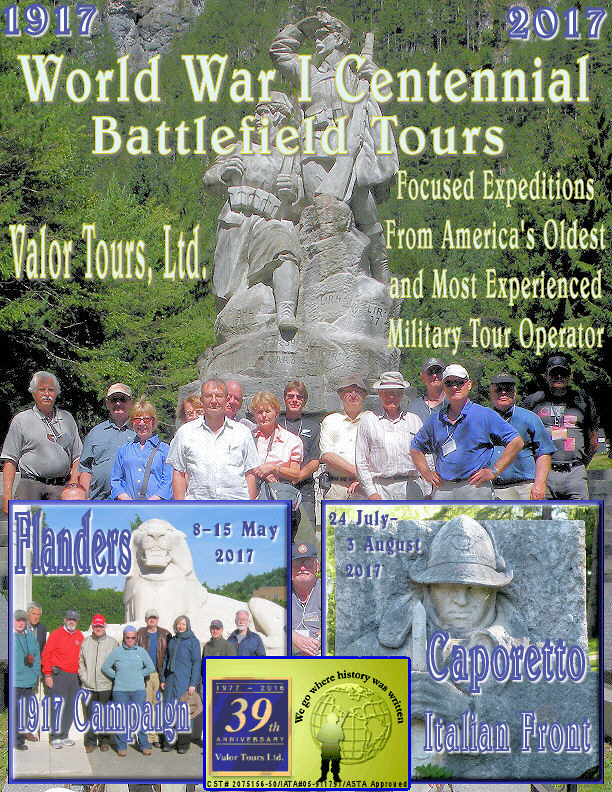 I've begun my planning for my 2017 battlefield tours and my program includes visits to the Caporetto Battlefield and the Italian Front. I always research and prepare a list of the best books on the sites we will be visiting together. 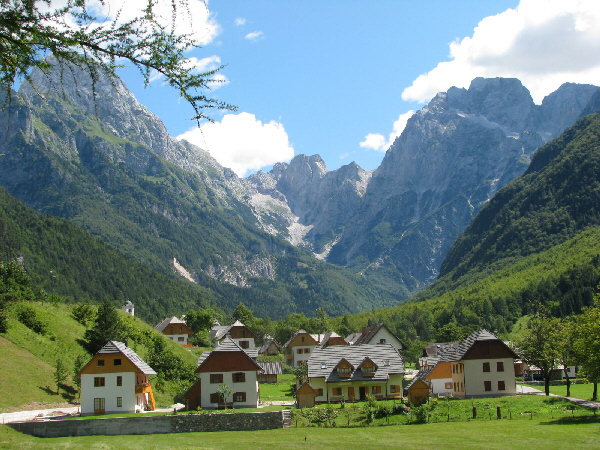 Here is the list I'll be sending our clients who will be visiting Austria, Slovenia, and Italy with our group. 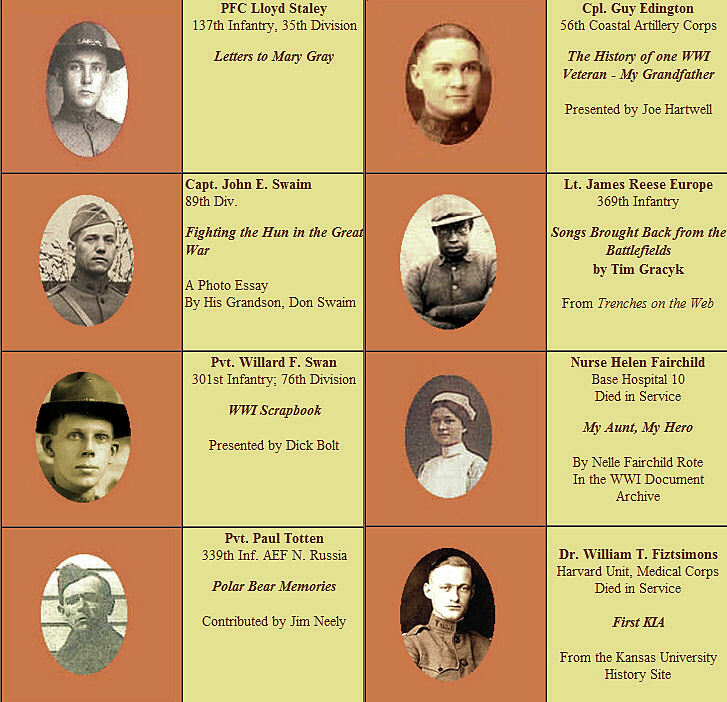 Looking for More WWI Reading Material? 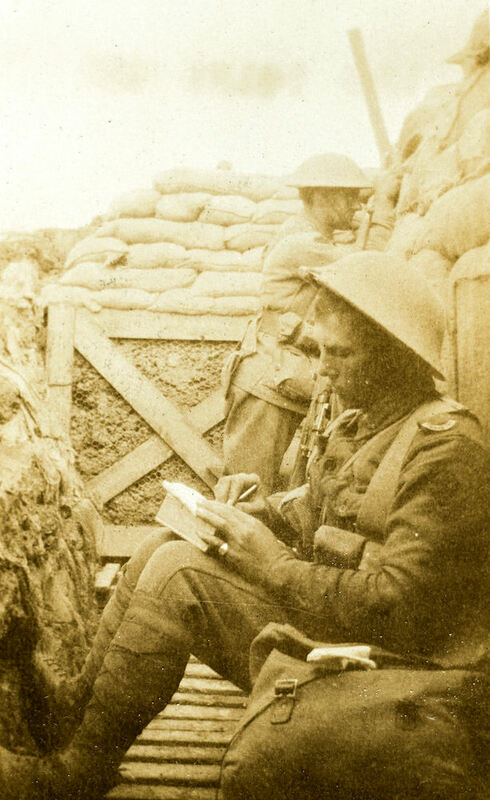 Worldwar1.com has a team of reviewers looking over the avalanche of new books on the war. Every Tuesday, we present a review of a new or classic work that we recommend at our blog, Roads to the Great War (LINK). Use the site search engine if you are interested ina particular subject. 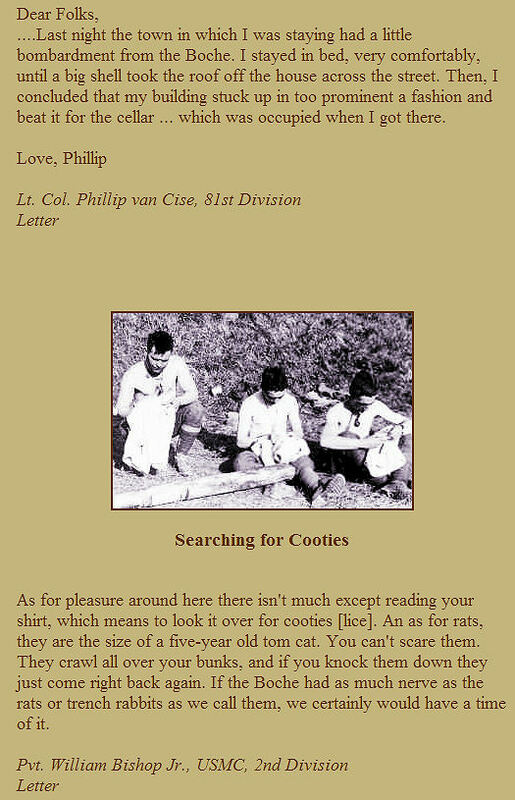 While I was researching the article in this issue on Pozières Ridge, I kept running into photographs by a W.H. 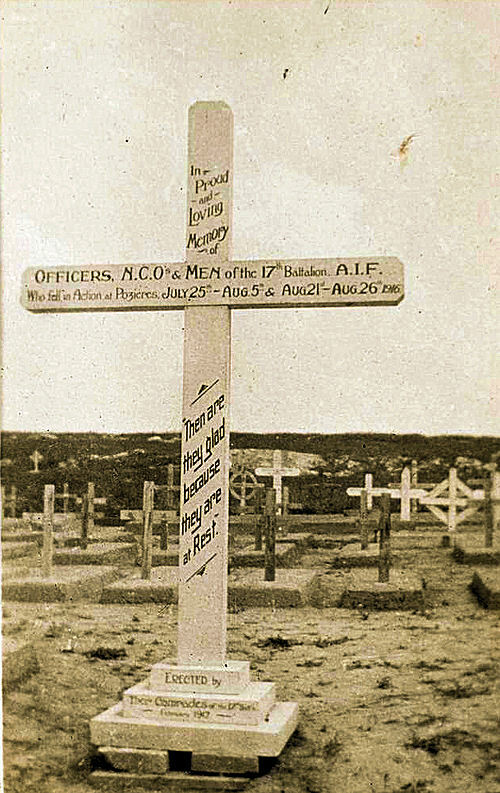 Burrell, MM of the 4th Australian Railway Company. I could not find out much about Burrell, however. He joined up as an enlisted man and earned the Military Medal, then apparently earned a commission. 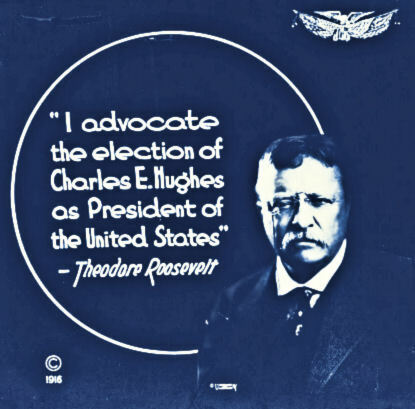 He survived until at least until 1919 when he donated his album to one of the State Museums in Australia. One thing for sure, he had a great photographic eye. The combat images here are from the Western Front. 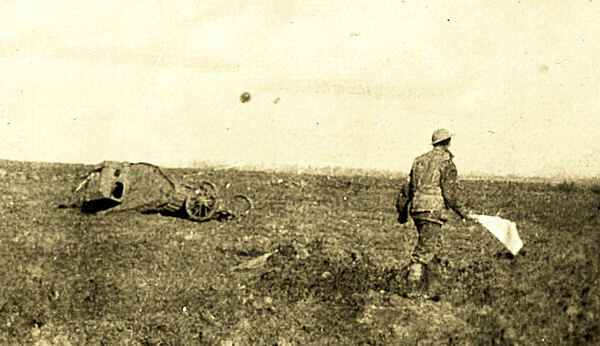 Italy has a strong claim to being the first combatant to introduce a portable machine gun during World War I. The Villar Perosa M15 was an Italian portable automatic firearm developed during the World War I by the Officine di Villar Perosa originally to be mounted on aircraft in a double barrel configuration shown above. 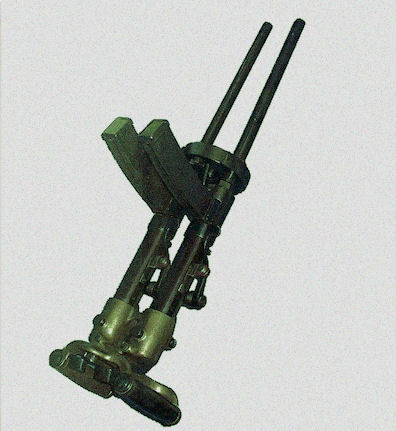 It's 9mm projectile, however, was not massive enough to be effective against sturdy aircraft, so it was adopted by the Italian infantry for its elite Arditi units. It was first used in combat in the Isonzo River/ Carso Plateau sector in 1916. It had a high rate of fire at 300 rounds per minute per barrel but a short effective range. With 25 round clips it had to be recharged 12 times a minute at full fire. Because its effective range was only about 100 meters (it had a theoretical range of 800 meteres) reloading was extremely risky for the gunner.